28-30 June 2016, Kigali, Rwanda – Carbon Africa took a strong team to take part in the 8th edition of the African Carbon Forum in Kigali, Rwanda,the continents premier event for project developers and policymakers on the latest investment, finance and development opportunities relating to climate change. 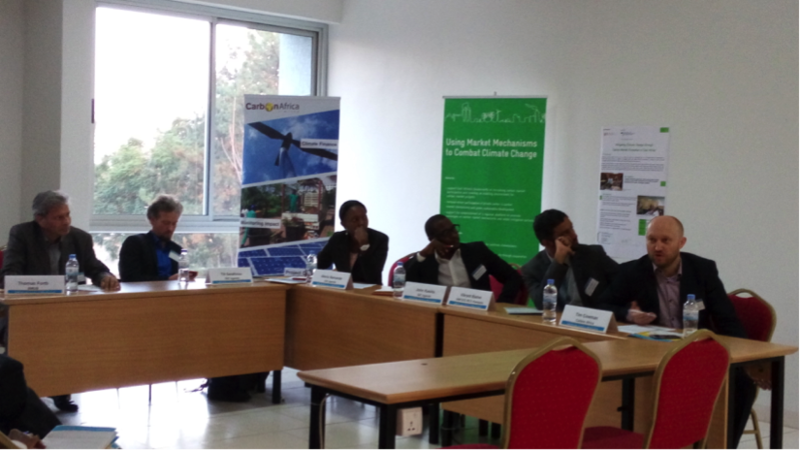 As part of the event Carbon Africa facilitated a round table side event organised by GIZ and the UNFCCC RCC Kampala with support from the BMUB and the East Africa Development Bank. The main objective of the event was to assess the status of Standardised Baselines (SBs) in Eastern Africa in addition totheir current and future role in the context of the Paris Agreement. The round table discussions moderated by Carbon Africa provided an opportunity for DNAs to share their experiences in developing SBs, identify areas for regional synergies and further collaboration. For more details please access the briefing note.